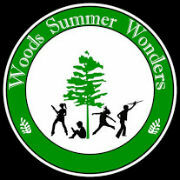 Welcome to the Woods Summer Wonders 2019 Website! The website is now open for business! Drop-Off & Pick-Up: Please drop off your campers 5-10 minutes prior to the start time of your session (8:50 or 8:55 for morning and 12:50 or 12:55 for afternoon), although we would ask that you arrive a few minutes earlier on Monday since check-in on Day One always takes just a little bit longer. Please pick up your morning session campers at noon (unless they are staying with us for the All Community Lunch Gathering--see below), and your afternoon campers at 4:00. Please Note: We invite all half-day campers registered for a given week to stay after their morning session, or come early before their afternoon session, and join us in the All Community Lunch Gathering, which is explained below. There is no additional cost for this service. Sign-In & Out Sheets: There will be two Welcome Tables set up just inside the front doors on which you will find the sign-in/out books. The campers will be listed alphabetically by last name, with last names ending in A-K on the table on the right, and those ending in L-Z on the left. Sign your child(ren) in when you drop them off, and sign them out when you pick them up. Pre-Camp and Post-Camp Assembly Area: Campers sit at specified tables in the Great Room (located off the main foyer) prior to the start of their session. Each assembly table will be identified by a sign with the camp name on it . The camp instructor will pick up the campers at the table just before the start of their session, and drop them back off there once the session has concluded. Before & After Camp Care: Families that need to drop their campers off earlier may do so using Before-Camp Care with Loretta Hackney (starts @ 7:45 a.m.). Please first sign in your camper, and then walk him/her to Room #134 just opposite the steps up to the stage) where you will be greeted by Mrs. Hackney. She will bring the campers back into the Great Room at 8:55 to assemble at their Camp Tables. Families who need to pick up late (by 5:00 p.m.) should pick up their child(ren) from Room #134 and then sign them out as they leave. Please note that if your child is not picked up by 4:10 p.m., s/he will be automatically placed in After-Camp Care with Mrs. Hackney, and you will be charged $5 per day for this service. All-Community Lunch Gathering: At noon, all campers are brought downstairs to the Great Room by their camp instructor, where we all have lunch together. Campers may bring a bag lunch, or they may choose to purchase healthy a la carte lunch items from our concession. We will be offering slices of fresh pizza (cheese or pepperoni) from Papa John's Pizza for $2/each, Easy Mac, water, juice and other items for sale as the main entree, and will also have a wide variety of snack items available. Items range in cost from $0.25 for Ice Pops (our biggest seller!). Campers will finish eating by about 12:25 and then we'll clean up and head outside to the playground or soccer field for some fun supervised physical activities (weather-permitting), or play basketball or hula hoop in the gym, until 12:55 when we'll return to the Great Room in anticipation of either the start of the afternoon session or parent pick-up. Medication Drop-Off and Dispensing: If your child has a medical condition that may require us to administer daily or emergency medicine, please come early on the first Monday of camp to complete the Medication Administration Form, meet with the nurse (as needed), and drop the medication off with us for storage and safekeeping. 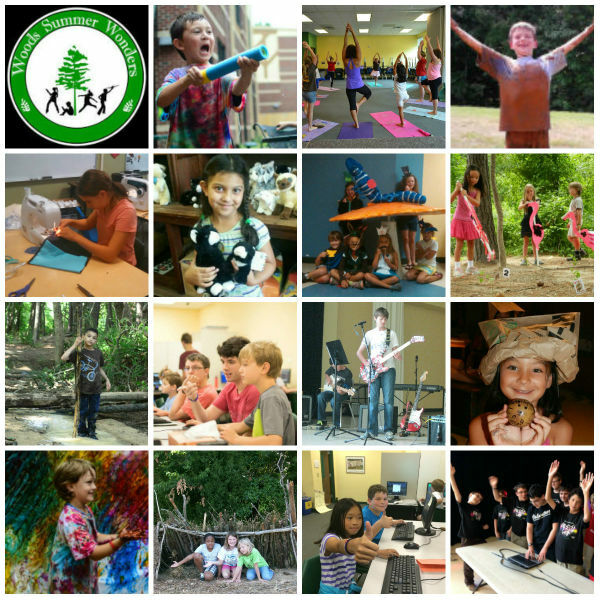 Please email our nurse, Lori Phillips, with any questions, concerns or worries at lphillips@woodscharter.org, identifying yourself as a summer camper family and noting which session and camp your child is registered to attend. Recommended Footwear: We strongly discourage our campers from wearing flip flops and Crocs, as experience has shown us that such unstable footwear oftentimes leads to stumbles and even falls either during camp or when engaged in the after-lunch play session. Tennis shoes or STURDY sandals -- preferably with a closed toe and a strap across the heel -- are a much safer choice, and one we hope you will opt for. Financials: If you haven't already paid for your camps, please do so at your earliest convenience. We would ask that you be paid-in-full by the time your camps begin, and we would prefer that you not pay in person on the first Monday of camp unless absolutely necessary, given all the other distractions and pressures we are contending with on that day. "Why Camp is Great for Children"
[I]f you didn’t go to camp as a child, you may not realize just how good the experience is for children. You may not know why so many parents are committed to sending their kids to camp. So while we have talked about most of these before, here is a list of the most important reasons to send your kids to camp. 10. Spend their day being physically active – As children spend so much time these days inside and mostly sitting down, camp provides a wonderful opportunity to move. Running, swimming, jumping, hiking, climbing! Camp is action! 9. Experience success and become more confident – Camp helps children build self-confidence and self-esteem by removing the kind of academic, athletic and social competition that shapes their lives at school. With its non-competitive activities and diverse opportunities to succeed, camp life is a real boost for young people. There’s accomplishment every day. Camp teaches kids that they can. 8. 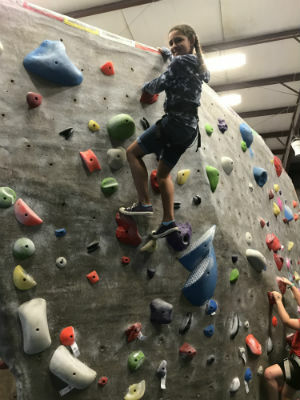 Gain resiliency – The kind of encouragement and nurture kids receive at camp makes it a great environment to endure setbacks, try new (and thereby maybe a little frightening) things, and see that improvement comes when you give something another try. Camp helps conquer fears. 7. Unplug from technology – When kids take a break from TV, cell phones, and the Internet, they rediscover their creative powers and engage the real world— real people, real activities, and real emotions. They realize, there’s always plenty to do. Camp is real! 6. Develop life-long skills – Camps provide the right instruction, equipment and facilities for kids to enhance their sports abilities, their artistic talents, and their adventure skills. The sheer variety of activities offered at camp makes it easy for kids to discover and develop what they like to do. Camp expands every child’s abilities. 5. Grow more independent – Camp is the perfect place for kids to practice making decisions for themselves without parents and teachers guiding every move. Managing their daily choices in the safe, caring environment of camp, children welcome this as a freedom to blossom in new directions. Camp helps kids develop who they are. 4. Have free time for unstructured play – Free from the overly-structured, overly-scheduled routines of home and school, life at camp gives children much needed free time to just play. Camp is a slice of carefree living where kids can relax, laugh, and be silly all day long. At camp we play! 3. Learn social skills – Coming to camp means joining a close-knit community where everyone must agree to cooperate and respect each other. When they live in a cabin with others, kids share chores, resolve disagreements, and see firsthand the importance of sincere communication. Camp builds teamwork. 2. 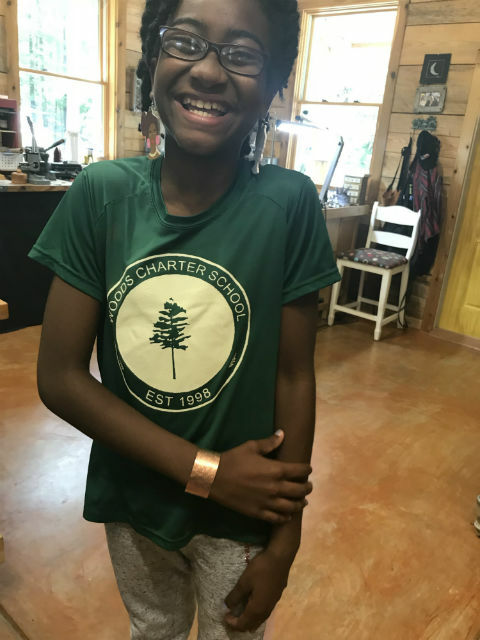 Reconnect with nature – Camp is a wonderful antidote to “nature deficit disorder,” to the narrow experience of modern indoor life. Outdoor experience enriches kid’s perception of the world and supports healthy child development. Camp gets kids back outside. 1. Make true friends – Camp is the place where kids make their very best friends. Free from the social expectations pressuring them at school, camp encourages kids to relax and make friends easily. All the fun at camp draws everyone together— singing, laughing, talking, playing, doing almost everything together. Everyday, camp creates friendships. "Handcraft Your Own Metal Jewelry" Camp! 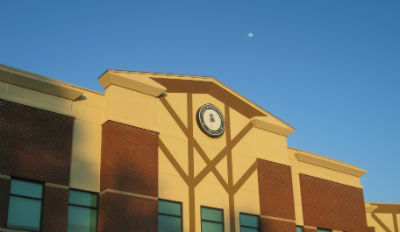 Copyright © 2019 Woods Charter School. All rights reserved.